Spend 43 days biking across America — and the rest of your life talking about it. There is absolutely no better way to see America – its people, culture, and landscape – than to pedal across each mile of it, ocean to ocean. Although reaching the Pacific is your end goal, the true magic of this trip takes place along the way. You’ll feel the hospitality of the Deep South and take in the wide open spaces of western Texas. In New Mexico, the Rocky Mountains will challenge and inspire you. You’ll cross Arizona’s desert landscape and hear the call of Southern California’s warm waters and sandy beaches. You’ll cross a continent. And what’s the price for seeing America’s beauty and diversity in such intimate detail on this challenging bike trip for teens? Hard work. Together, like a family, your group will push limits both physically and mentally. You’ll tap resources you didn’t even know you had and learn what you’re made of. This trip will be one of the richest and most rewarding experiences of your life. It will change you forever. We’ll meet in Charleston, South Carolina and spend the first day checking over gear and preparing for our trip. As tradition dictates, we’ll dip our wheels in the Atlantic Ocean and begin our westward journey. Both nervous and excited, we’ll quickly build up to our daily average of 80 miles. We’ll travel rural back roads, past small towns and bayous, and see the authentic Deep South. We’ll continue west into Arkansas and the Texas plains. In Texas, the land opens up, the sky broadens, the air is drier, and the horizon stretches into the distance. One prairie town after another, we make our way to New Mexico and anticipate the Rocky Mountains ahead. The Rockies offer challenging climbs and stunning beauty as we make our way over the continental divide. Before our final stretch across the desert, we’ll spend a day off our bicycles volunteering in Phoenix, Arizona. From there, we head toward Southern California and our final destination, San Diego. Seeing the Pacific Ocean will bring a mix of emotions: tears, stunned silence, whooping yells… Together we have crossed the entire country on our own power. We have overcome enormous trials and made lifelong friends. We have been tested. We have succeeded. We have biked America Coast to Coast! How physically challenging is ACC? Given a Challenge Level 10 (out of a maximum of 10), ACC is our most challenging cycle-touring trip. Given thorough preparation and training, we believe that any fit, motivated student can successfully rise to the challenge of this trip. Compared to similar cycling trips, we consider ACC to be more challenging than Europe Coast to Coast due to trip length, added mileage, and more challenging terrain. ACC will average approximately 80 miles a day, but has several challenge days that will include rides of 100 miles or more. Please note that all of Apogee’s Challenge Levels are not scientific and are subjectively calculated by the Apogee staff. Yes – ACC is one of two cycle-touring trips (Europe Coast to Coast is the other) Apogee offers that requires students to bring their own touring bikes. 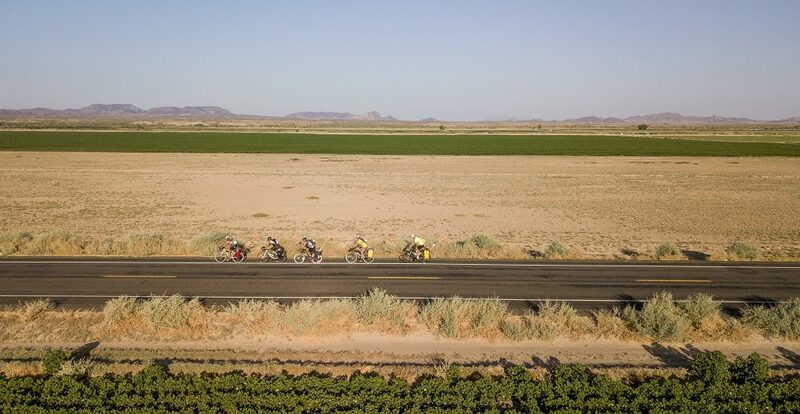 For a number of reasons, including familiarity and comfort while riding, we want students participating in these two challenging trips to spend their spring training on the bikes they’ll ride during the summer. Please call our office with any questions regarding the suitability of your child’s bicycle for this trip. How much training should my child do before the trip? As ACC is one of our most challenging trips, we have a training and preparation protocol specific to ACC which we will share with enrolled families well ahead of the trip. Please contact the Apogee office for specifics regarding pre-trip training. What happens if my child isn’t able to adjust to the mileage or the heat? ACC is a physically and mentally demanding trip. While we have built the program to allow for acclimatization to the riding and southern heat, an early withdrawal from the trip may be appropriate for students not physically able to complete the required daily biking mileage or who are otherwise unable to fully participate in ACC’s activities. Apogee reserves the right to make this determination in its sole discretion. Please know early withdrawals from ACC are rare and that our office and field staff work hard to make sure students are given ample opportunity to succeed. Families concerned about this aspect of the trip should contact Apogee Director Kevin Cashman well before the trip start to discuss expectations. Apogee’s tuition costs are meant to be all-inclusive and include all meal, accommodation, and activity fees. The most significant additional expenses on our America Coast to Coast trip will include travel to Charleston, SC, for the trip start, and from San Diego, CA, at trip end; a sleeping bag and sleeping pad; a touring bike and panniers; and the cost of shipping your bike to Charleston for trip start and back to your home (from San Diego) at trip end. Yes. While all of our bike trips are self-supported – meaning that students and their leaders will carry their personal gear & clothing, group cooking gear, etc. 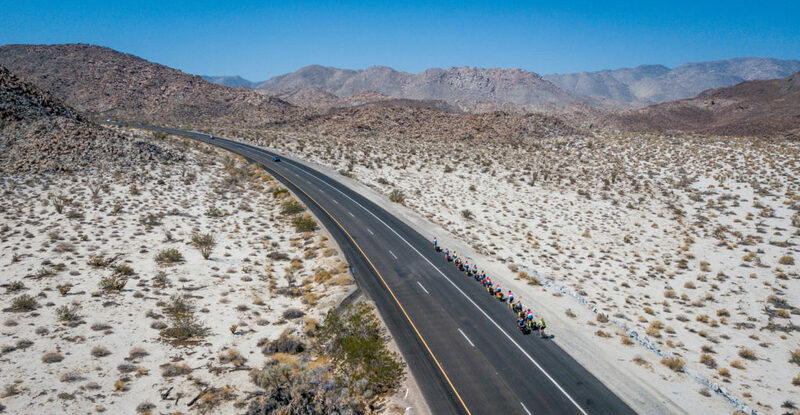 on their bikes – Apogee maintains a dedicated support staff member and vehicle to provide assistance to our ACC trips in the event of medical or mechanical exigency. Every night of our ACC trip is spent indoors, primarily at schools, community centers, and churches, with the final two nights of the trip in a hostel in San Diego. Students can expect clean, running water every night, with showers on most nights — never more than two days without a shower.